The 1980s were changing times for American kids' TV audiences. A growing culture of commercialisation was slowly seeping through; animation series were starting to be produced to sell toys to children, like half-hour advertisements. Everyone knows He-Man, the best-known example of this phenomenon, which in turn led to the massive fads of Teenage Mutant Ninja Turtles and Power Rangers. But not many casual children's TV watchers would know that certain seemingly-American series were in fact imported Japanese animé shows, heavily edited and re-dubbed so as to appeal to American audiences. Animé had been growing in popularity with Western audiences for some years. Devoted fans, frustrated over the lack of American-released videotapes of the most popular animé series, resorted to bootlegging imported Japanese copies, applying their own subtitles, and distributing them to other fans around the country. No mean feat, considering that this was well before the advent of the Internet and its easy methods of communication. The level of organisation of these fans was impressive; they had mainly branched out from American comic-books like Fantastic Four and Spider-Man, so the fans' connections were largely already there – just being put to a different use. American translation and syndication of Japanese shows had begun in the 1960s, with Osamu Tezuka's Mighty Atom,translated as "Astro Boy"; Kimba the White Lion (which would cause controversy in the 1990s with Disney being accused of stealing the characters for The Lion King) and Gigantor. Speed Racer followed later; the dubbing work done by the American translators would be widely lampooned, as all the characters appeared to be talking very, very quickly! And to cash in on the huge Star Wars craze of the late 1970s, Battle of the Planets (better known as Gatchaman in Japan) appeared to wow American audiences with its fast and furious space battles. All of these shows were edited to remove violence and other "undesirable content", something that annoyed die-hard animé fans to no end. They wanted to see the shows as the Japanese did, and resented the implication that these series were only for kids. Robotech is frequently credited as the series that inspired the mainstream interest in animé for the Western world. 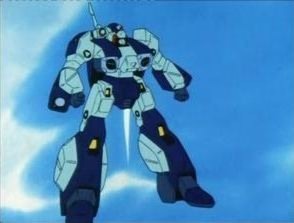 Because the three source series were not in any way related to oneanother, Harmony Gold (the production house responsible for Robotech) established continuity by naming the events of each series as a self-contained "Robotech War," stemming from the discovery of 'protoculture', a miracle energy source. Thus, each saga has different characters and themes. Robotech: The New Generation is the adaptation of Genesis Climber Mospeada, the third and final chapter in the original Robotech series. 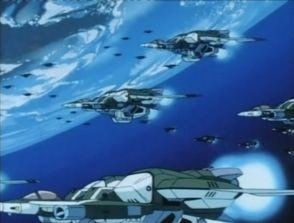 After destroying the malevolent Robotech Masters at the end of the second saga, Earth's defence force is severely weakened, and cannot put up any resistance when the marauding alien Invid attack. These Invid seek to obtain Earth's large supply of protoculture, and quickly take over the entire planet. All that's left are a few scattered resistance cells, and the hope that the Robotech Expeditionary Force will return from Mars to help them. We join the conflict just as the REF arrive to fight off the Invid. However, the gathered forces are no match for the sheer number of Invid defending the planet, and the entire force is destroyed – leaving only one survivor, Scott Bernard, a wing commander in the REF. Scott was due to marry his girlfriend and fellow REF officer, Marlene, but since she died in the initial Invid offensive, all he has of her is a holographic locket. There's no shortage of people willing to tag along with him while he's roaming the planet, searching for the Invid's main hive, Reflex Point: first, there's Rand, a traveling scavenger; Annie, a lovesick (and annoying) young girl; Lunk, an out-of-work engineer; Lancer, a cross-dressing lounge singer; and Rook, a fiery and strong-willed young woman who is almost Scott's equal in mecha combat. It would be very unfair to compare Robotech's animation with that of the modern series I've become used to reviewing, but I must make a few notes – even though you'd expect the older style to be jarring, it simply isn't. You don't even have to get used to it; as long as you accept that this was made in the mid-1980s, and that it's meant to look like this, it's really no different from any of the modern animé series. 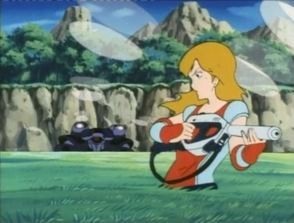 In fact, I'd say that Robotech's animation is very good for the time it was made. The mecha combat scenes look great; most of Robotech's fighting is done via "Cyclone" motorcycles that can become large suits of robot armour, a la Transformers, and jet fighters with similar capabilities. Explosions are rendered rather artistically; I noticed a lot of detail. Music, unfortunately, doesn't fare as well. While I'm sure that the synthesised electronic themes and incidental music was all the rage back in the 80s, from a 21st-century perspective, it now sounds...well, "cheesy" is the only word I can think of to describe it. The slightly better main themes and the vocal song in episode 63, "Lonely Soldier Boy," manage to save it just slightly. The dub, while performed well (and by several well-known industry names, albeit using pseudonyms to avoid union problems), suffers from a script that contains far too many clichéd battle taglines and other badly-articulated translations. I'm enjoying Robotech: The New Generation so far. It belongs to what could almost be considered a bygone age of animé – the era of highly-Americanised and edited animé, produced for a syndicated Saturday-morning audience. It reminds me of my youth, growing up and watching shows like Teenage Mutant Ninja Turtles and ThunderCats on long holiday mornings, but with as much plot and character development as you'd expect from a more modern animé. For sheer nostalgic escapism, it can't be beaten. Framed 4:3, the image quality is good but not great, being slightly soft and displaying some very visible compression artefacts in places. Some of this is no doubt down to the transfer from NTSC to PAL, although the step-frame animation style avoids obvious motion blurring. Colours are strong enough, but the age of the series is evident in the transfer. There's only one sound option here, (American) English 5.1. The dialogue and voice-overs are a little on the tinny side, with even the music having rather crisp trebles, but otherwise music and sound effects are rather well mixed, with very good seperation at times and strong bass reproduction. No special features are present; Manga seem to have sacrificed them in order to squeeze six episodes on each disc. Strangely enough, I think prefer it like this – too many times, animé disc special features have been lackluster and almost not worth including, and I'd much rather have more episodes in each volume. Not only do you get more for your money, you save money (and shelf space!) overall. As this is the edited Robotech series, which was adapted from three different animé shows, there's no Japanese language track or subtitling present. It's like comparing Super Sentai to Power Rangers – the same material, but you wouldn't expect Japanese dubs on Power Rangers just because its source footage is Japanese. * As related to Fred Patten, Amazing Heroes #75, July 1985.